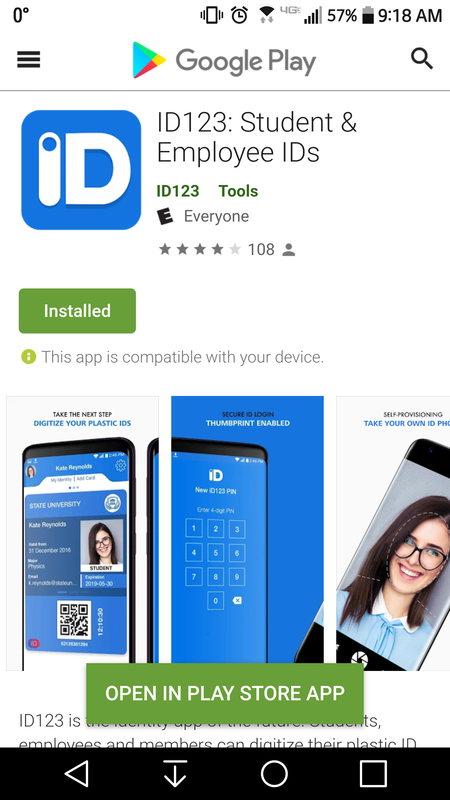 Download the ID123 app from the App Store if you have an Apple device or from Google Play if you have an Android device. 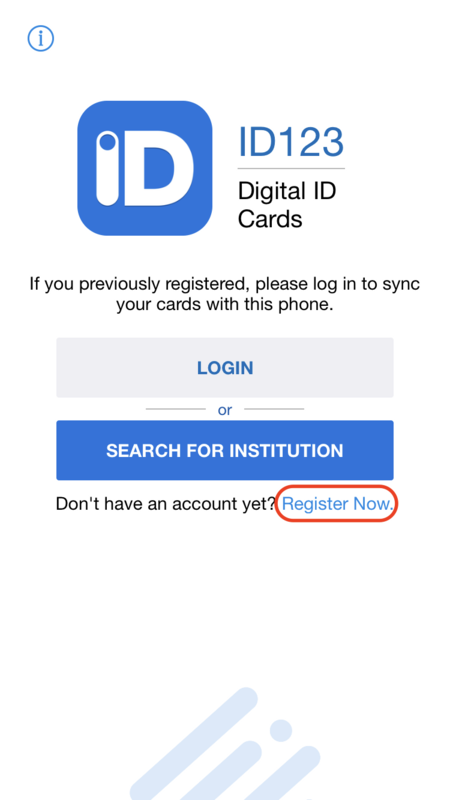 Open the app and click on “Register Now” to register a new account with your email address. 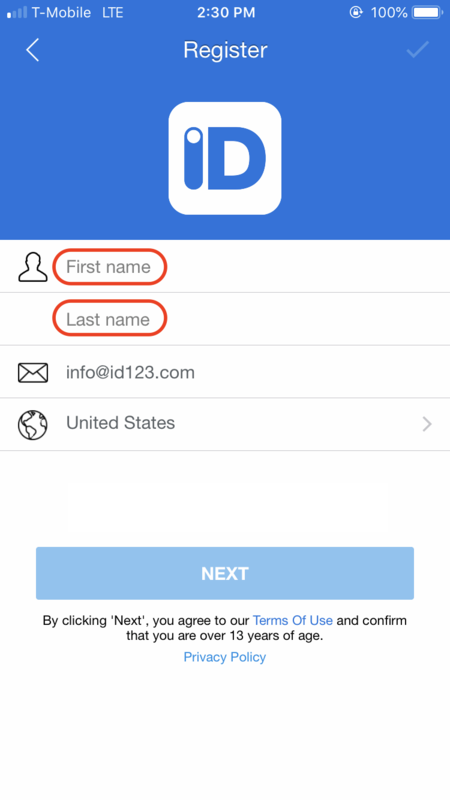 Fill out your first and last name to complete the registration process. 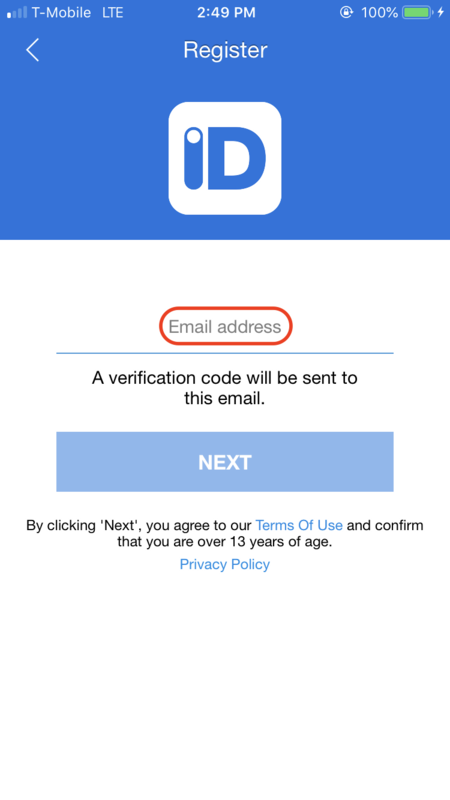 Check your email for the verification code. 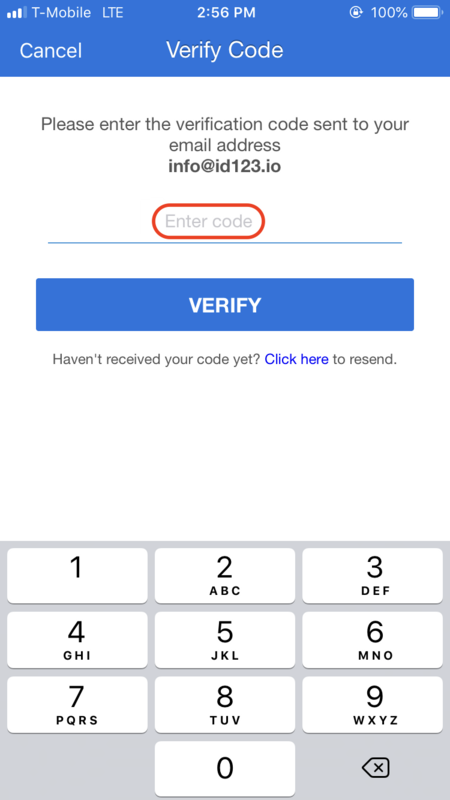 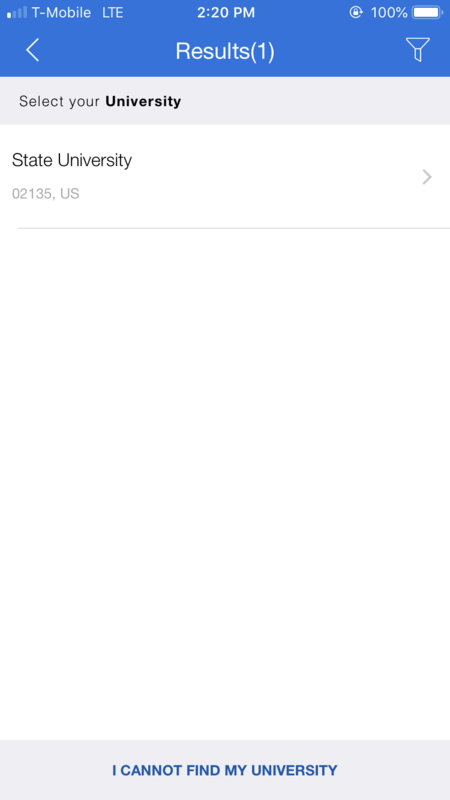 Once the code is entered into the app, you will be able to log in to your new account. 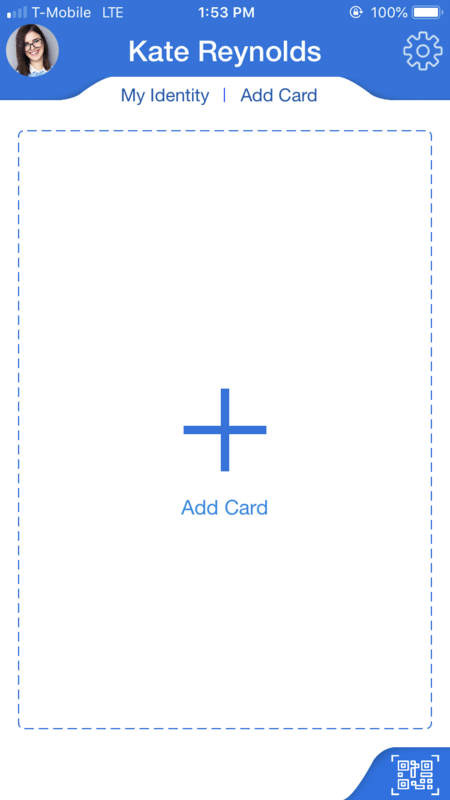 Note: You may skip the rest of the steps if you received an email with a link to automatically install your card on your mobile device. 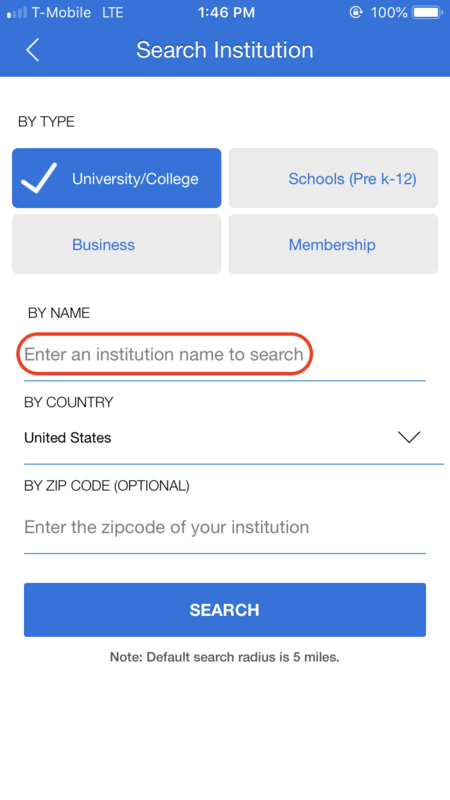 Select the institution type, enter your institution’s name and press “Search”. 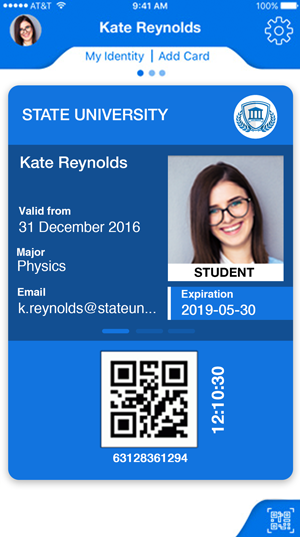 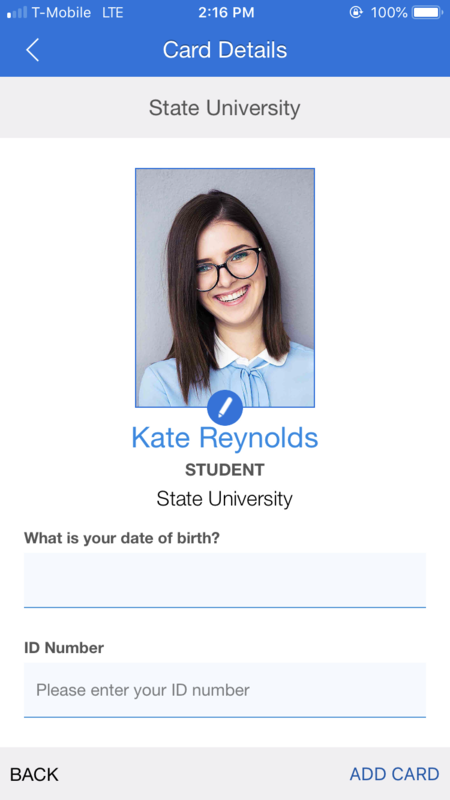 If your institution has issued you a custom digital ID card, please fill out the required information to verify your identity and install your new ID card on your mobile device. 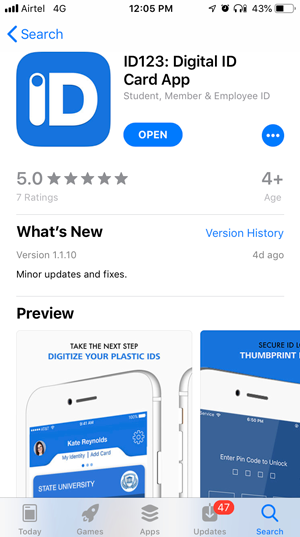 For self-issued digital ID cards, please fill out the form using the data from your current plastic ID card. 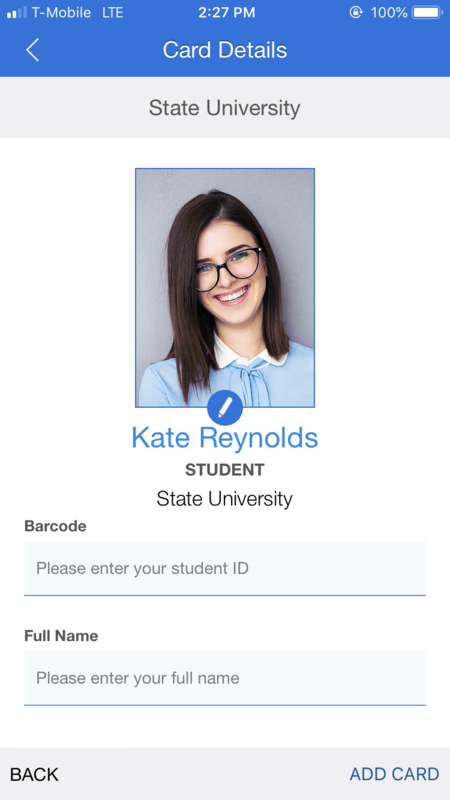 Your digital ID card is ready.